Event: Czech Out foraged dinner! Harvest season in Texas is quite a thing. We’re putting on a 4-course, gourmet dinner at the Czech Out Ranch this October, showcasing all the amazing wild flavors of the Autumn Texas harvest-time! We’ll have a short plant walk, to talk about what wild foods are currently in season, and then we’ll enjoy a curated, 4-course seasonal wild feast handcrafted to showcase all the wonderful, native flavors of the Texas Hill Country. These dishes will be one-of-a-kind unique; put together by the amazing Lacie Wall, and we’ll discuss the process of coming up with novel and wild recipes to work with wild ingredients. Detailed information about each dish will be available, as well as copies of my book, “The Cycle of Foraging”, for anyone interested. –The cost of the dinner is $60/person, and will include wine pairings plus samples of foraged cocktails! Tickets are available through PayPal @ paypal.me/anaturalplace. Please include a preferred contact method, as directions will be emailed out prior to the event. This is a limited seating event! Spots will fill up fast so reserve your spot today. 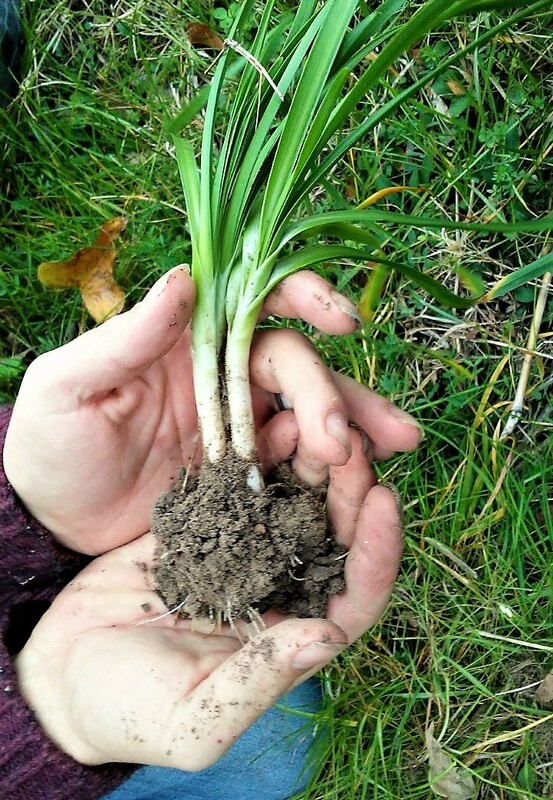 There are several events coming up over the next couple of months, opportunities where you can learn more about wild foods and how they can benefit our communities and also get some first-hand experience foraging and harvesting some wild foods yourself and even sampling some of the unique dishes they can be used in! I will also be taking part in the Milam county Earth Day event, on Saturday, April 21st. I’ll have a booth set up with samples of wild dishes as well as hand outs about how to start foraging, where you can learn more about it, as well as how you can set up your own Wild Foods Gardens. The event is being held in Rockdale at the local community center located at 109 N. Main st.
At the end of April, on Saturday the 28th, I will also be leading a foraging class for kids at McKinney Falls state park in Austin, Texas. This event is being put on by the Calixto Project, which creates opportunities for kids to enjoy positive experiences in the Great Outdoors. We will be ranging across the beautiful landscape and then preparing some unique and delicious dishes with our finds after wards. So this excursion will be part hunter-gatherer adventure, and part cooking presentation! The Adventures begin at 11 am and will last until around 2:30 pm. For more information, and to register, check out the Event Page here. Alongside all of these great events is the impending release of my book, which should be made available by the end of this month! I will have copies available for anyone attending the Texas Master Naturalist lecture on April 12th in Milano, so try to make it out if you’d like to grab a copy. I am also putting together several other events across the next several months centered around some of the biggest Wild Foods harvests of the year. 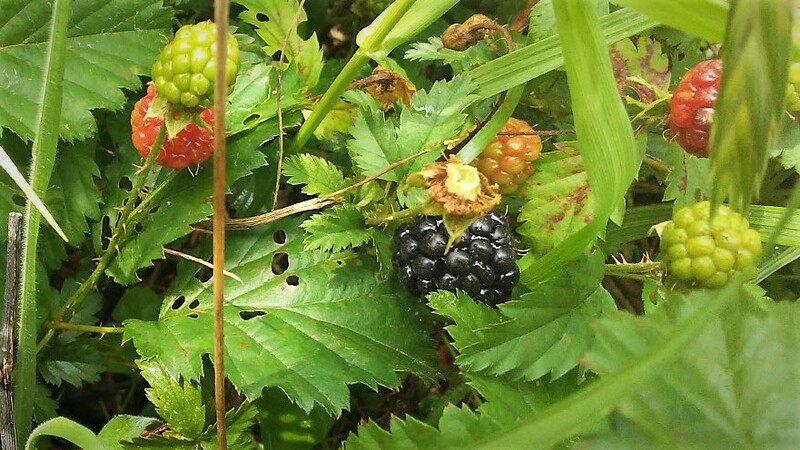 Wild onions at the end of March, dewberries at the beginning of May and wild grapes at the beginning of Summer, we will talk about these, as well as other species, and everyone participating will get to go home with a bunch of free, healthy, delicious wild foods. Participation in these foraging walks is limited, to ensure everyone who comes is able to gather as much tasty foods as they wish, and so we don’t denude the resources at each site. To sign up for any of these, you can visit their event pages on Facebook, here. I’m really excited about all these opportunities coming up. Part of that is due to getting to see the culmination of several personal endeavors. But it’s also because it’s a chance to make a difference and reach a large amount of people. Sharing this information and lifestyle with others is one of the greatest feelings that I get to experience. Not the least of which is because it allows me to help people connect with a world that I am personally and intrinsically attracted to, but also because I’m able to provide a greater sense of security and liberty which can help people to lead healthier, happier lives. Ave Alegre studios had their Feast in the Forest fundraiser this past weekend, and we had an amazing time. Several different artists came together to create a forest full of beautiful artwork. 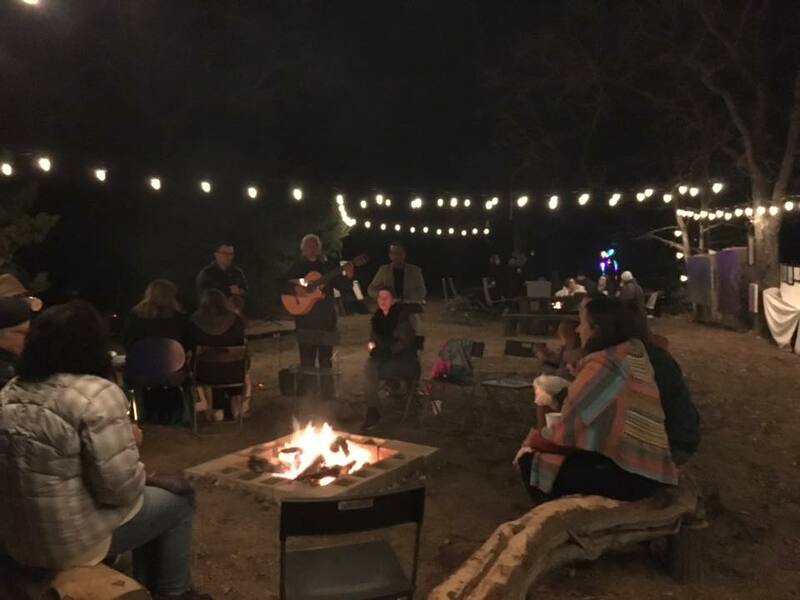 There was live music serenading us through the night and delicious, romantic treats for all to enjoy, and under the lights you could feel a community of people coming together to support the vision the wonderful people behind Ave Alegre have for their land. Ave Alegre is more than an event space and gallery, it is a place to come together and learn more about how to live in harmony; with our environment and with each other. Classes are offered in everything from working with indigenous clays for pottery to growing and using native and organic plants to cook delectable dishes and therapeutic concoctions. I’ve led foraging classes with them and they are always interested in the new wild dishes we come up with. Classes are taught in both English and Spanish and the whole place is an educational space on how different and beautiful life can be. They are available for most event types and all of their upcoming classes and opportunities can be found on through their website or on their official Facebook page. The book I’ve been writing since the end of the Wild Foods Garden project is basically done, there’s just some last minute touches that need to happen and then some final editing, but then it’s off to the printers. There are about 50 different species covered, all arranged according to when they appear throughout the year. They are organized by month and seasons; details for each include seasonality, identification, habitat preference, propagation methods as well as uses. I’m publishing it through CreateSpace, on Amazon, so it will be available online for any kindle readers, as well as in print form. In addition to hundreds of full color photographs, the book is also filled with dozens of original paintings and beautiful illustrations. These have been added to highlight important details of different species and to give a better picture of how the world changes from one season to another. Foraging, for my family, truly is a cycle. We mark our calendars for when the dewberries will come into season. We celebrate the ripening of the wild grapes at every Midsummer, and spend all year waiting for the beautyberry harvest to come again. 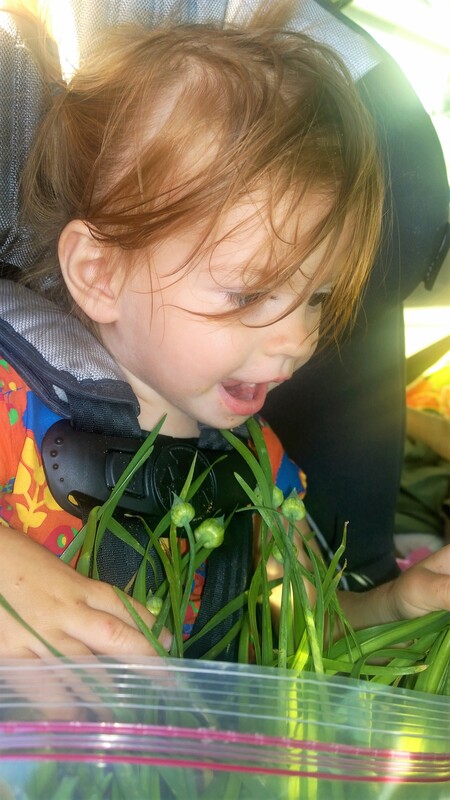 Learning about and coming to enjoy and look forward to all the different wild foods available in our environment naturally connects you to a deeper cycle of Life; a different world. The world we are all born into, but for which many have lost sight of. This book is my attempt to share that world with you. To show how our natural resources can improve our lives, improve our communities and provide a more sustainable and secure future. Over the next month I will be posting updates on when the book will become available, but it will hopefully be before the end of March. I have several events planned for the next couple of months, and I hope to have hard copies available for anyone wanting to attend. This weekend I will be at Ave Alegre’s Feast in the Forest fundraiser and next month I will be hosting a wild foods potluck, and then gearing up for Earth Day 2018! In between all of these events, I will doubtlessly be sharing what wild edibles are currently coming into season, and any unique and delicious recipes my family creates with them. Over the next month, we are avidly waiting for the cattail shoots to emerge. We had a fluke burst of them at the end of last year and the opportunity gave us some inspiration for when we meet them again. HINT HINT: noodles…..
To stay up to date with progress on the book or what events I have coming up, follow me on Facebook and Instagram! This week will see our third class at The Wild Foods Garden here in Bryan, Texas! The rains we’ve been having this Spring have really helped it flourish and grow. The Garden has NO artificial irrigation, so the plants are totally dependent on ambient rainfall for life. Wild plants are extremely drought tolerant, in addition to being extremely nutritious, so there is little to worry about though. However, now that the rains are passing, and the new moon is coming, everything is starting to dry out and ripen for Summer. All of the early Spring greens are transforming the returning sunshine into energy to ripen their swelling seeds – you can watch the warm, Northern winds blow them away on the sunny days. 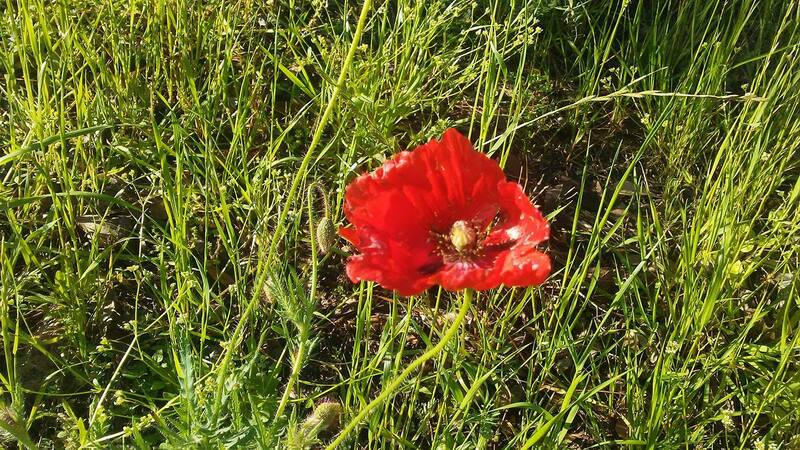 The wildflowers too, blooming in the humid heat after the storm, have begun going to seed. The whirring song of the cicadas has announced that the dog days of Summer are coming. The last of the Spring harvest, immature cattail flower heads, has given us something new to look forward to every Spring though: Cattail Fritters! Warm and rich and delicious, they were an impromptu creation due to the abundance of cattail flowerings this year – we simply didn’t know what to do with them all! Now we’ve moved on to gathering their golden pollen and looking through the forests for wild amaranth, grapes and the juicy, nectar filled blooms of the Turk’s cap mallow. Our young Turk’s cap cuttings we planted at the Garden, during our first class back in March, are just now starting to show their first leaves. You can also see the lemon bee-balm and black nightshade flowering around the Garden, and around town, now too. I’ve been dreaming for a while about trying to illustrate all these different changes, either as different moons or seasons, or just different points in a yearly cycle. And all the beautiful colors of the Earth have been the perfect medium to bring them to life! From raw hematite to sparkleberry juice – using wild pigments to paint and color with has had the dual benefit of showcasing the beauty of the natural world, while also being a pleasant art form in and of itself. I was actually able to showcase some of my traditional works as well recently at Revolutions cafe and bar, here in downtown Bryan. In addition to several of my paintings, I brought an array of different wild dishes and had a great time talking to people about Nature and the environment and what we’re doing at The Wild Foods Garden. It was actually the perfect backdrop for my paintings, because that’s the message, the inspiration that they’re really meant to convey: to inspire people to reconnect with their environment, in a meaningful and beneficial way. And so it’s to that end, that I’ve decided to make a commitment with my artwork: I’ve decided to start donating a flat percentage of every piece or reproduction I sell to the Brazos Valley chapter of the Texas Master Naturalists and the work that we’re doing together at The Wild Foods Garden to try and bring people and Nature closer together. Because the true message in my artwork is the opportunity for community, and at its core, community is what The Wild Foods Garden is all about; showing people how they can have a positive impact in their environment, and how it can have a positive impact in their lives as well. In honor of the passing of the early Spring season, I’ve decided to post this recipe for curly dock soup. A delicious and simple recipe, it makes use of the most prolific, perhaps, of all the Spring greens and the result is a soup which is both light and filling. Mix the butter, onions, lettuce (or celery), salt and pepper in a large pot or dutch oven on a stove at medium heat until the vegetables start to sweat. Once they are glistening, add the stock and bring to a boil. Next, reduce the heat and let simmer for 15 – 20 minutes. Finally, add the cream, chopped dock leaves, and thyme. 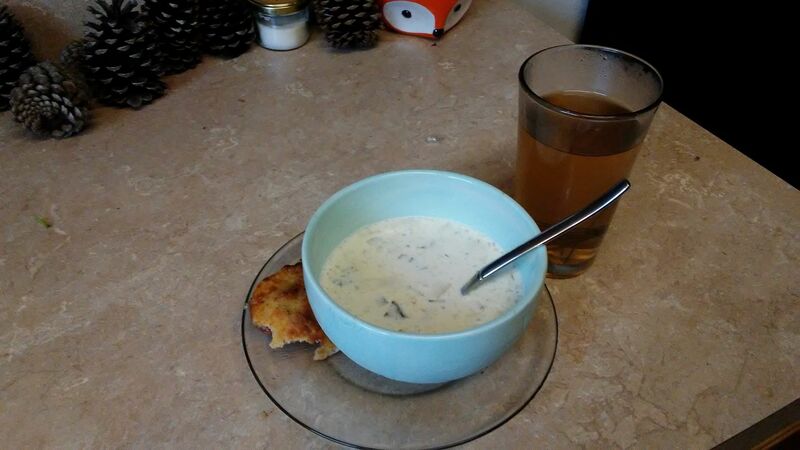 Allow the soup to continue to heat until the dock leaves are wilted, then remove from heat, allow to cool, and serve. Aside from its simplicity and tastefulness, this recipe is a wonderful way to make use of curly dock leaves even after they have grown large and over-matured. As such, this soup is able to embody the full flavor of Spring long after most of the tender greens have given way to the early seeds and fruit of Summer. A good pairing for this dish are cattail fritters, or more poignantly, flatbread made from the ripe curly dock seed, and sweetened pine needle tea early in the Spring or lemon beebalm infused tea later towards Summer. I personally love dishes like this, because they can embody the fleeting nature of a given time or season; and after they’re gone, the memory of which gives us something to look forward to and allows and feeling of continuity and certainty…. This past weekend, I finally began one of the most important projects that I’ve been working on over the past several years. 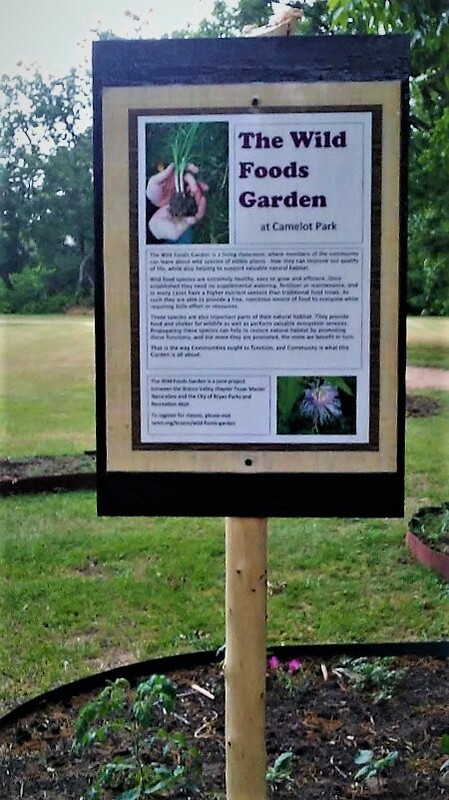 As a joint effort between the City of Bryan department of Parks and Recreation and the Brazos Valley chapter of Texas Master Naturalists, we have started the first ever Wild Foods Garden. The Wild Foods Garden is a living classroom where members of the community can come to learn about wild species of edible plants. 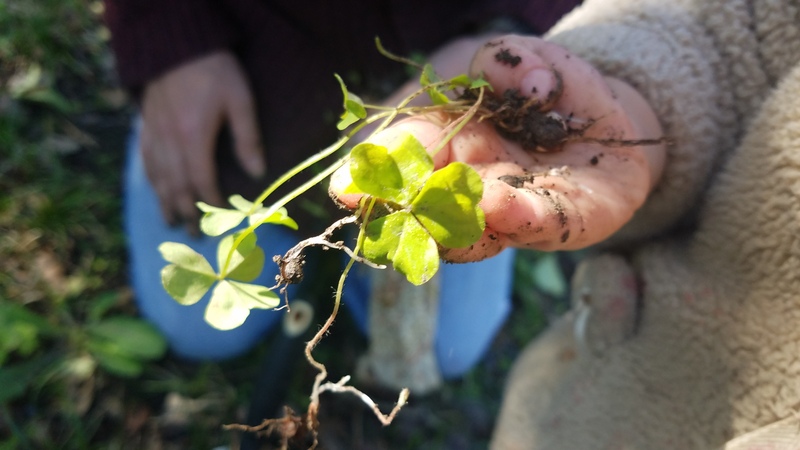 In addition to teaching people how to identify and locate these abundant resources, we also focus on showing people just how easy it is to plant and spread these species as well! The importance of which is: because wild foods are so efficient, because they’re so nutritious, because they’re free and most importantly because they’re important actors in the local ecosystem, the more we plant and restore these species, the more we can provide people with a free and nutritious food source while at the same time supporting valuable natural habitat. We were all so pleased with the amount of people who signed up for the first class and turned out to begin this amazing project. It was so beautiful to see people of all ages working together to build a connection with each other and their environment. I’ve said it all along, what we’re doing is trying to re-establish a thriving community of life, an ecosystem, with humans as an integral part of it. Seeing so many different people come together and taking an interest in their world, that was the essence of that community. Classes are free and we’ll be holding them the last Saturday of every month, at 10am, in Camelot park in Bryan, TX. If you’re interested in attending the classes, you can register for them here. So much has started to come together here, from finishing my current portfolio (finally!) to at long last getting this project off the ground, it can be really difficult keeping everything in focus. Times like that it’s important to keep yourself grounded on the things that matter most; on the people and ideals which will help you persevere and stay on the track when everything else starts to become a blur. For me, that’s a sense of Home. And the notion I have of myself as an extension of that home. I am a human being, but I am also an artist and a teacher. Living that role isn’t so much an obligation, as it’s a fulfillment of who I am as an individual. Keeping in touch with that feeling keeps me connected to what I love, and who I love. I suppose that’s what Home means to me: Love. It’s the message I try to convey to people with my art, and showing people the reality is my hope and my goal for this amazing opportunity we have just begun at The Wild Foods Garden.